We've seen that commercial BIRT includes jQuery so calling functions to highlight rows or creating mouse-overs are easy to do. Reference samples include this forum post with an attached example or this DevShare with an extensive example. 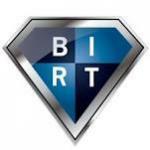 So how can jQuery be used in OS BIRT? The attached example was tested in OS BIRT 4.5.0, but should be able to run in OS BIRT 4.3 or higher. In the table, we place a simple <DIV> placeholder in the table so that we can find this DOM element with jQuery. Now, we can use jQuery to find all the <TR>s to highlight the row colors, and also apply a mouse over and mouse out to the row. You will notice that I'm using jq191 instead of the default jQuery $.